Howard "Mick" Longnecker, age 76, of Castalia, died Wednesday morning, January 23, 2019, in his residence, following a lengthy illness.He was born July 15, 1942, in Sandusky. He drove truck his whole life and was a Steward for the Teamsters Union, he also owned and operated Longnecker Trucking Co. MIck farmed for many years, and raised fish and cattle. 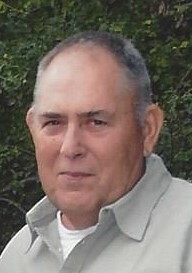 He was an avid hunter and fisherman, and ran the Dusty Boots 4H Club.